RealFlight is a commercial flight simulator with a 3D view, and the ability to design and test custom vehicles. 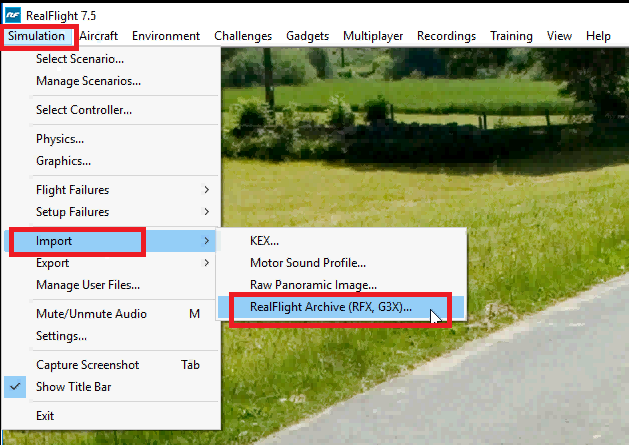 Wait for RealFlight 8 to update. If it doesn’t do so immediately, you can force an update by completely restarting Steam. To do so, right click the Steam icon in your system tray and select Exit. Once everything closes, run Steam again, and the update should complete. 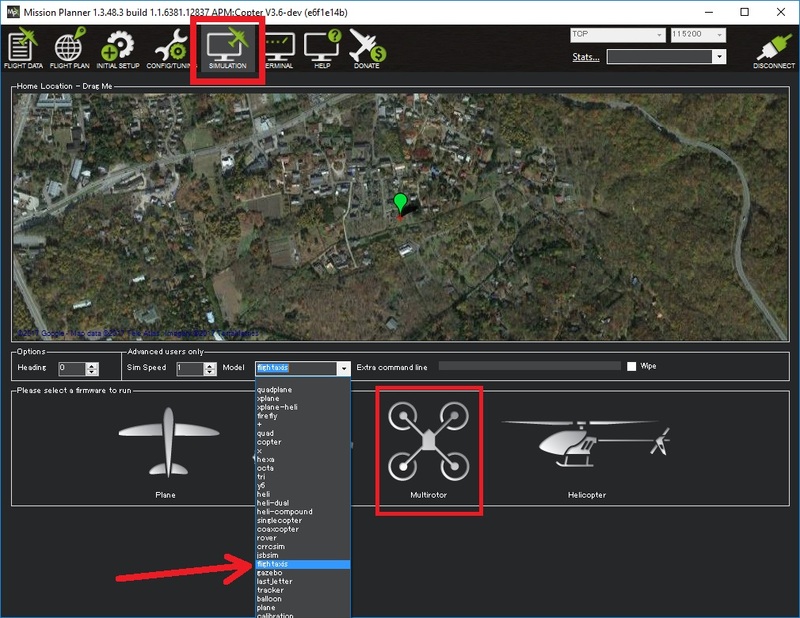 Select Aircraft, Select Aircraft, open “Custom Aircraft” section and select “Quadcopter X - direct throttle”. In the current state, the RC inputs come straight from the stick so it is not flyable. on the separate machine where SITL will run, start SITL with “-f flightaxis:192.168.x.x” or if using a tradition helicopter, “-f heli-dual –model flightaxis:192.168.x.x”. 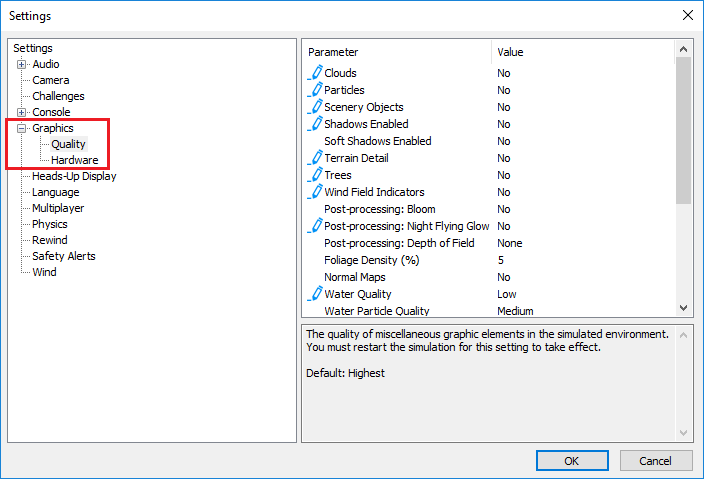 As mentioned above, RealFlight allows designing your own custom vehicles including choosing the size, weight, appearance, and motor and control surface placement. 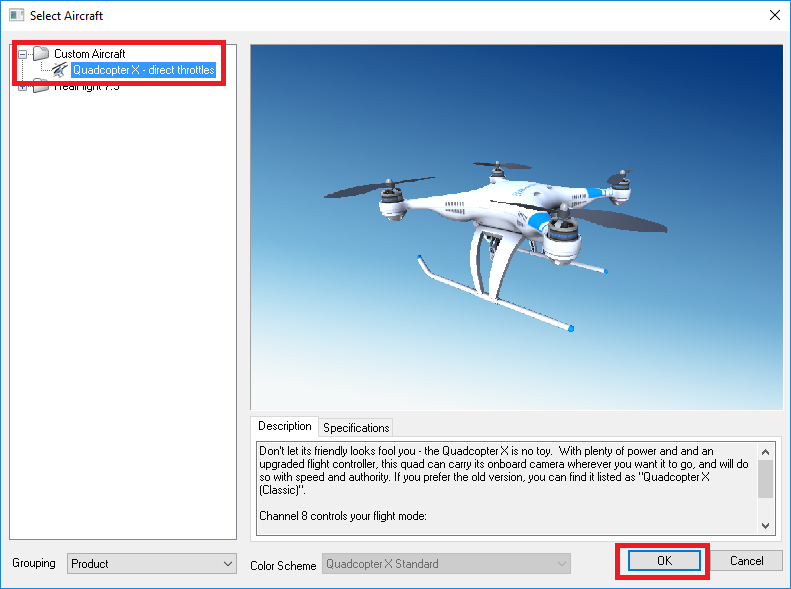 A number of custom models have been created by ArduPilot developers and stored in the ArduPilot/SITL_Models repository. You should be able to clone this repo using git clone https://github.com/ArduPilot/SITL_Models.git and then load the models into RealFlight. In the directory for each model there is a .parm file that can be loaded into SITL so that appropriate tunings parameters are set. from within SITL type param load <filename> to load the parameter found in the same directory as the model, i.e. 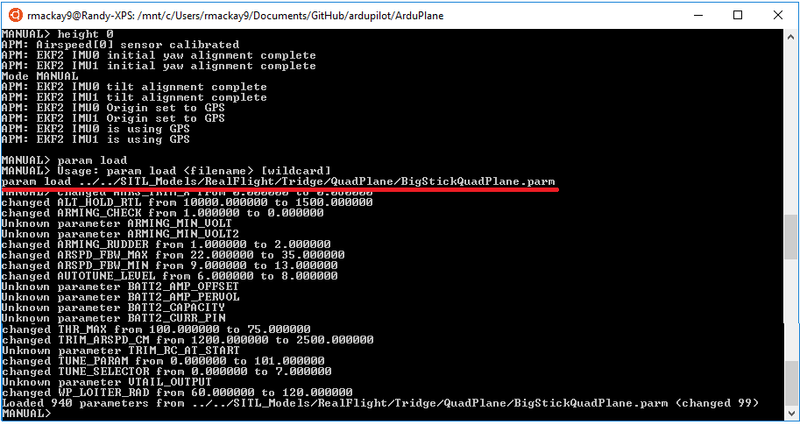 param load ../../SITL_Models/RealFlight/Tridge/QuadPlane/BigStickQuadPlane.parm to load the quadplane parameters. In some cases you may need to restart SITL in order for some parameters to take effect.